I love croissants. I haven't had one for close to a year. I have been vegan since January, and haven't had one since, and probably for some months prior to that. 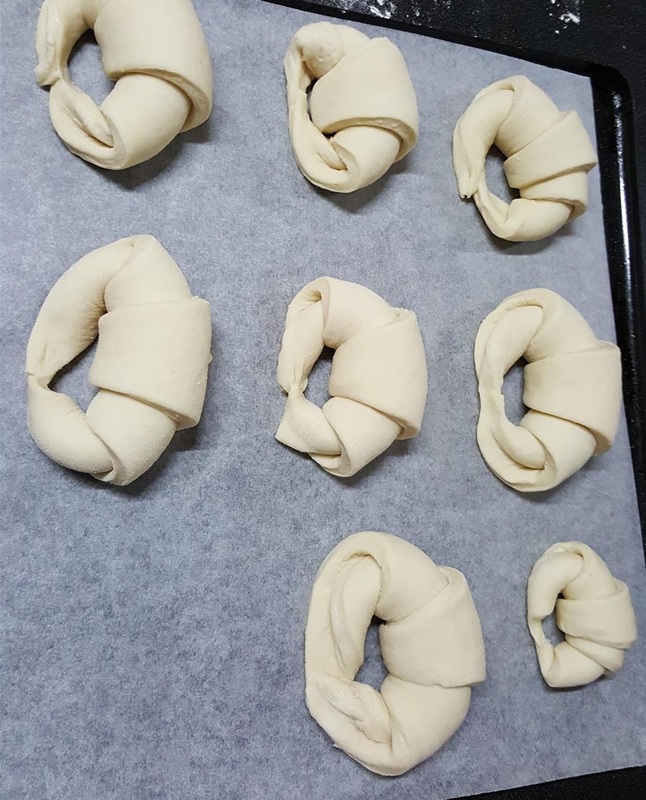 I have seen some lovely croissant recipes, but they take days to make. I am a very impatient person and I also do not have the time to spend days on a recipe. It would mean not cooking anything else hahaha. 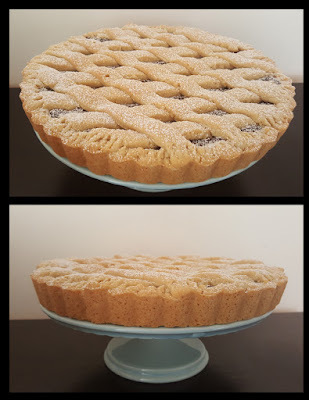 So I went in search of a recipe that could be done within a day and then set on veganising it. When I was making challah last week, I came across "The Bread Kitchen". The lady that owns the channel is so charming, and although it is not a vegan channel, she has quickly gained me as a fan. I watched a few recipes from other channels, and got some ideas from those also. Titli Nihaan's recipe is done by hand. I wanted to make mine in the bread maker, so that when I was making the dough, I could also work on something else (seitan steaks). So it is 100% possible to make this by hand, the bread maker is absolutely not required. 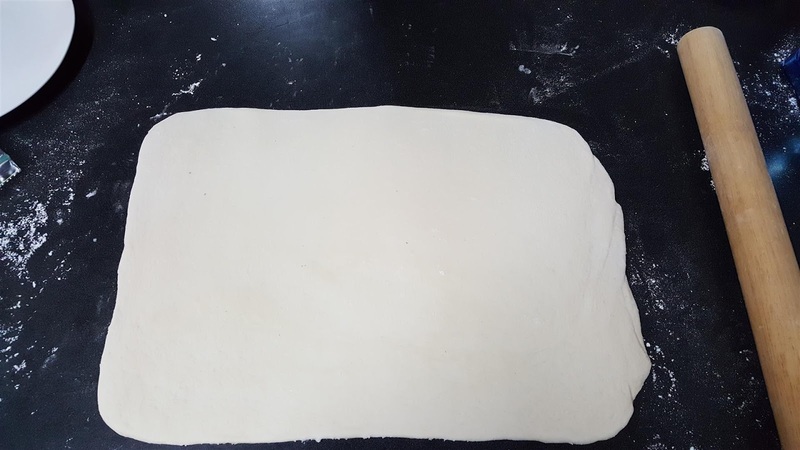 I will explain the recipe as I made it, and then you can see Nihaan's method for making the dough by hand, although those of you that make bread, the method is the same. Warm the milk, add the yeast, mix and let it sit for 10 minutes until frothy. Sift all dry ingredients together set aside. 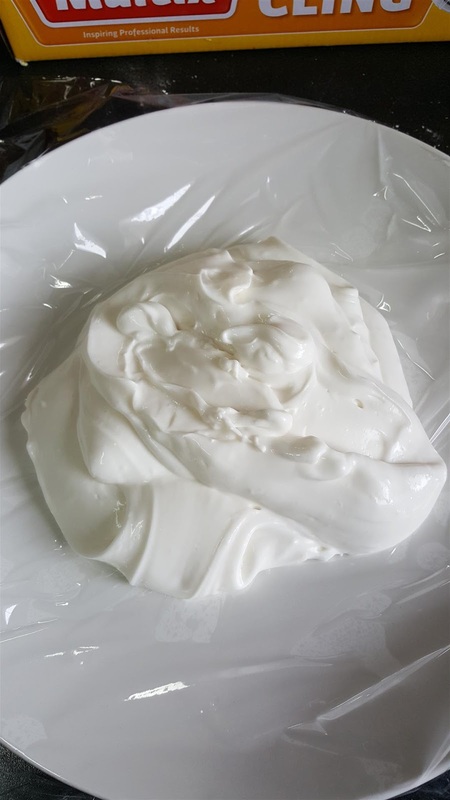 Add aquafaba to yeast/milk mixture. 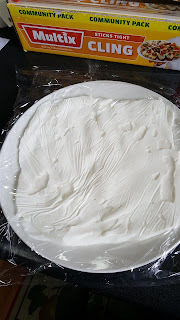 Make a well in the center of your dry ingredients, and pour the milk/aquafaba/yeast mixture in. 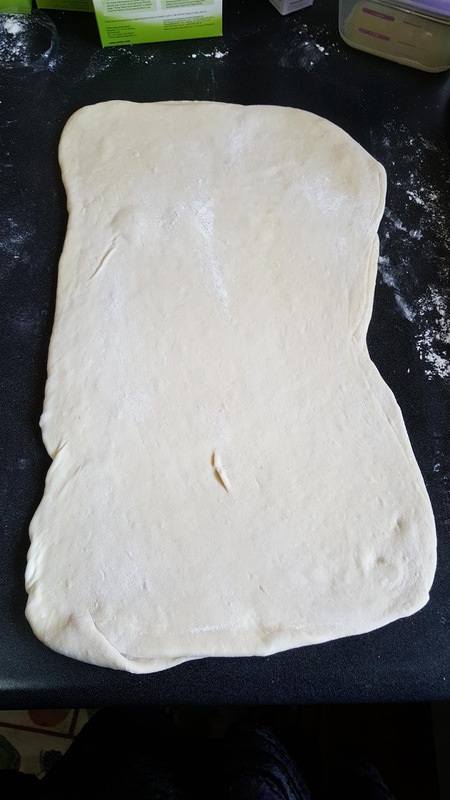 Knead to make a nice elastic dough. Rest for 10 minutes. Follow from step 7 in the Method below. Some notes on the ingredients. I decided to try a homemade Bread Improver as per this recipe. This is because the commercial bread improver is hard to find, and even harder to find a vegan version. I also thought that making it from scratch would make it a lot easier for everyone to follow the recipe. Now the improver recipe calls for lecithin, and I didn't have any. I had read in another recipe that the baker used psyllium husk as a bread improver. I decided to use psyllium husk instead of Lecithin. I find that psyllium husk is quite coarse, so I have put a cup of it in my seed/coffee grinder, and ground it up to a powder. I use that whenever a recipe calls for psyllium husk. You can blend it in your blender as well. I used Nina's Vegan butter made with aquafaba. I would suggest that you make that first, as it does take time to set. 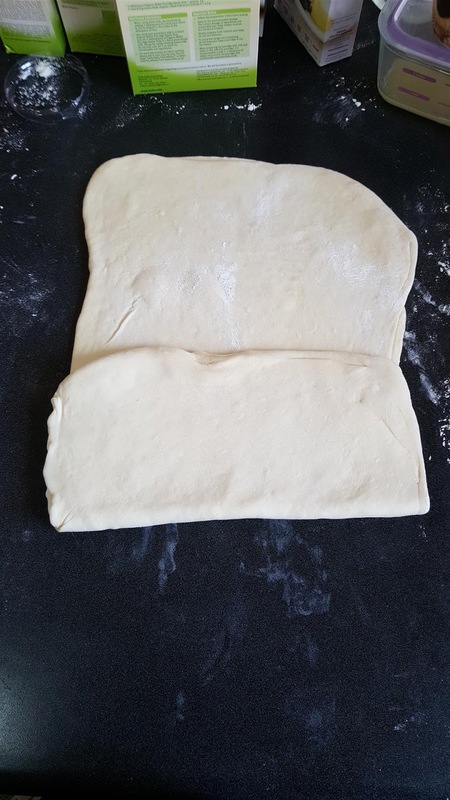 I made it as I was making the dough and in between other things, so it was quite soft when it came to put it on the dough. It obviously still worked, but I don't think it is ideal. I recommend making the butter with deodorised coconut oil. I didn't have any, and the coconut flavour is very noticeable. The taste overall of the croissant is great, but they would be better without the coconut flavour through it, as it would taste more legit. 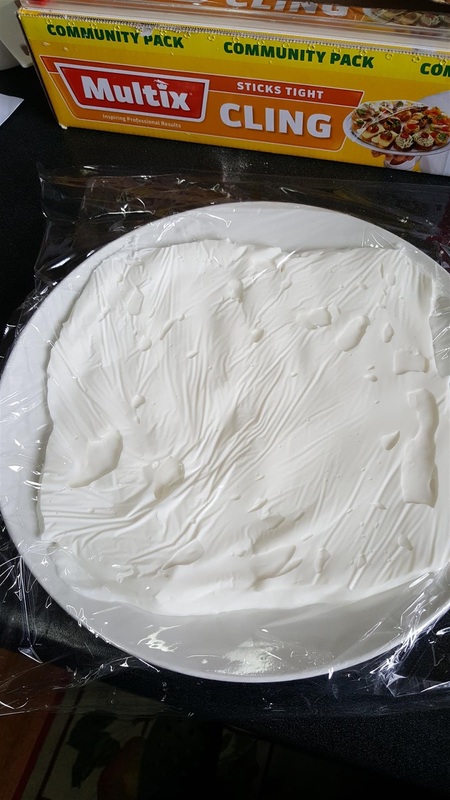 When you make the butter, do not set it in a container, spread it onto some parchment paper on top of a baking tray or a plate. Spread it to a large square size, about 1/4 inch thick. Cover it and put it in the freezer. Then set to making your dough. I didn't use apple cider vinegar in the butter recipe, but citric acid. I don't think this makes a difference. I also didn't add any colouring (tumeric) as the butter was for the croissants and it didn't really matter what the colour was. Make Nina's butter. Do not put it in the fridge to set. Instead spread it on a piece of parchment paper on top of a plate or baking tray. Make it about 1/4 inch in thickness. Cover with plastic wrap and place it in the freezer. If you're making the butter the day before, then there is no need to set it in the freezer. The fridge will be sufficient. If the butter is rock solid, let it come to room temperature before you go on to step 8 below. Sift all dry ingredients together except for the sugar and yeast. Place the milk, aqua faba, and sugar in the bread maker. Place the flour mixture on top, and then add the yeast. Set your bread maker to dough setting, stop the bread maker once it has kneaded the dough, you DO NOT want it to rise. Take the dough out of the bread maker and wrap it in plastic and rest it for 10 minutes. 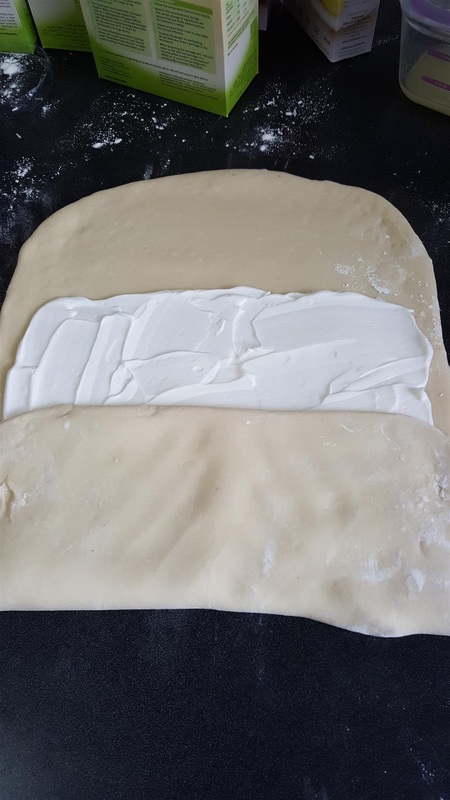 Roll out the dough to a rectangle, double the length of the square of butter you made previously. 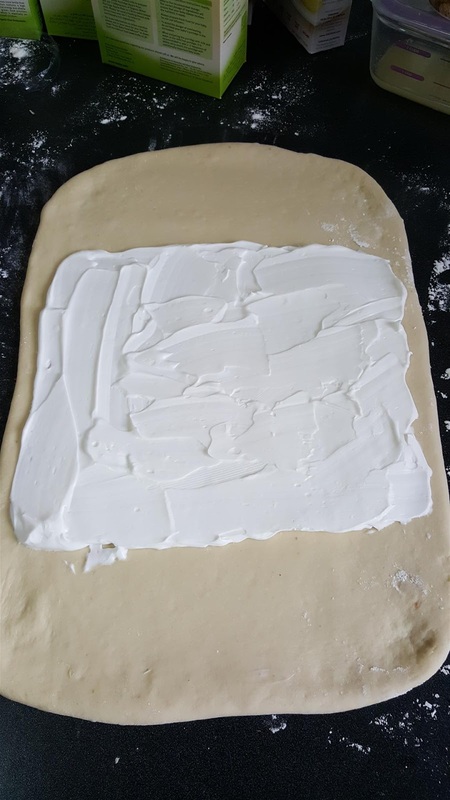 Place the square of butter in the middle of the rectangle, and fold the dough over to cover the butter. Pinch the sides to seal in the butter. Fold it in half again as pictured, Place dough in a plastic bag, and put in the fridge for 45 minutes. 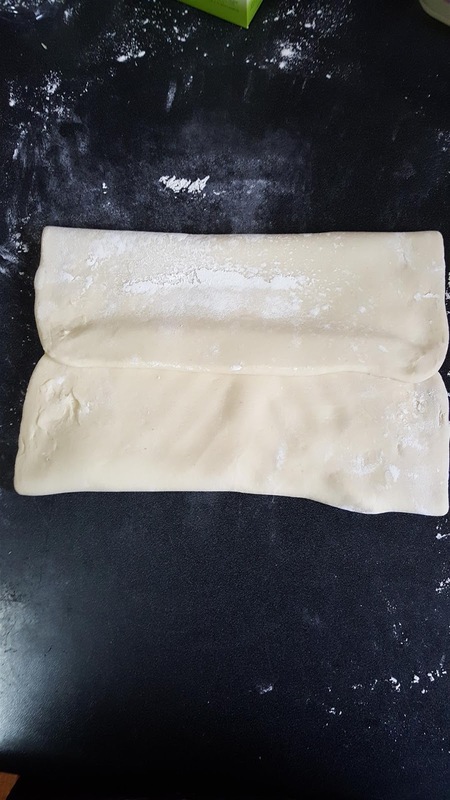 Take dough out of the fridge, and roll into a rectangle, fold as pictured, and place it back in the bag and into the fridge for 1 hour. Repeat step 8 one last time and leave the dough in the fridge for one hour. 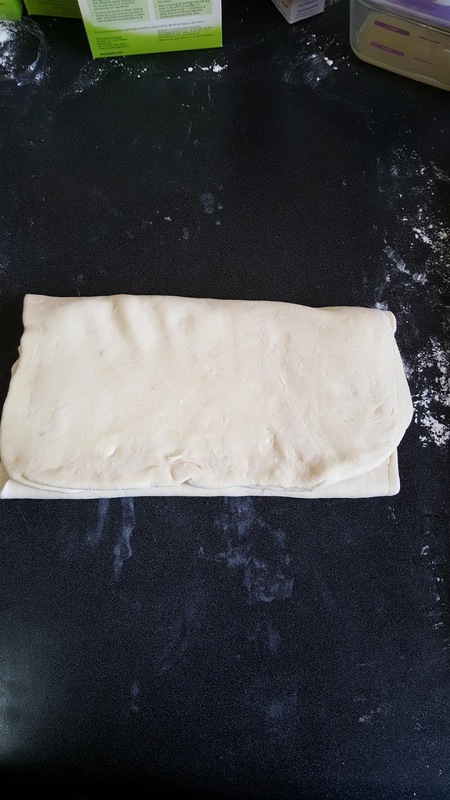 Take dough out of the fridge and roll out into a rectangle. 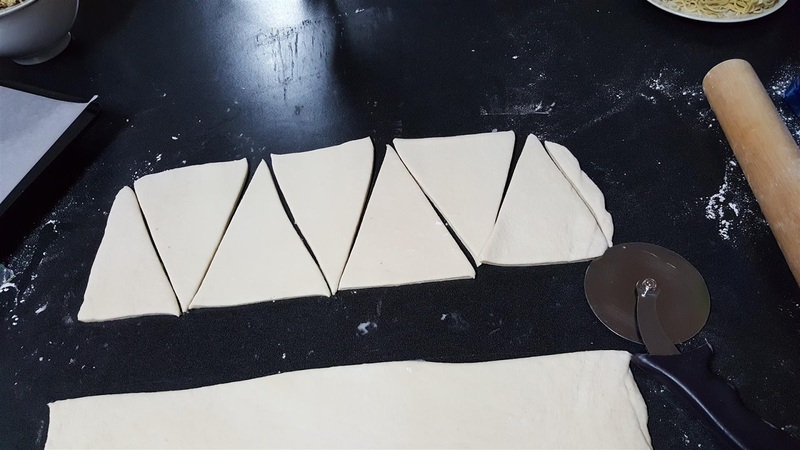 Cut in half, and cut each half into triangles. I didn't measure, I just did it by eye. 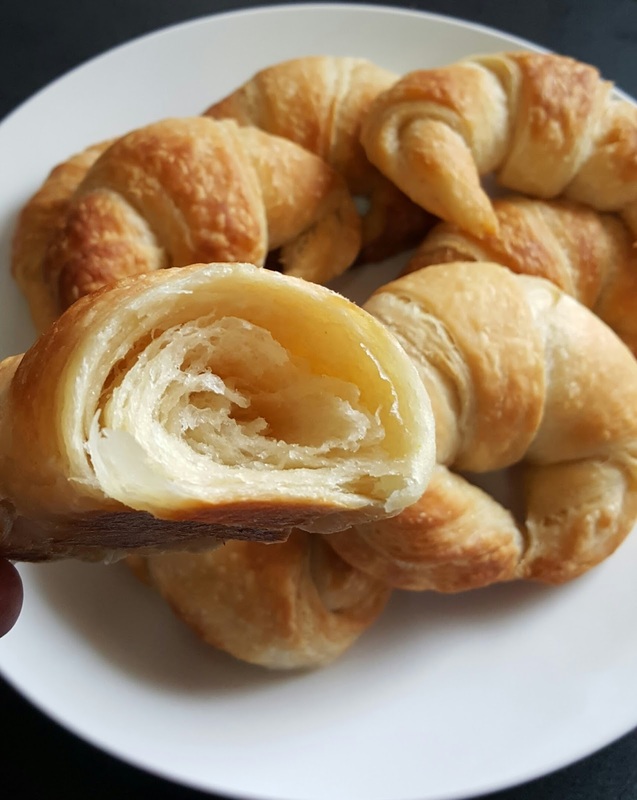 It is not an exact science unless you want each of your croissants to be the exact same size. 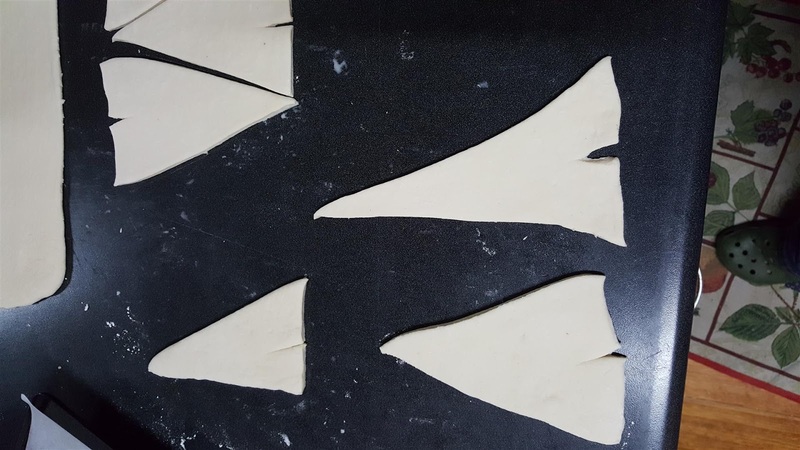 In the "Bread Kitchen" video it is recommended to make a small cut on the short side of the triangle to make it easier to fold into a crescent shape. 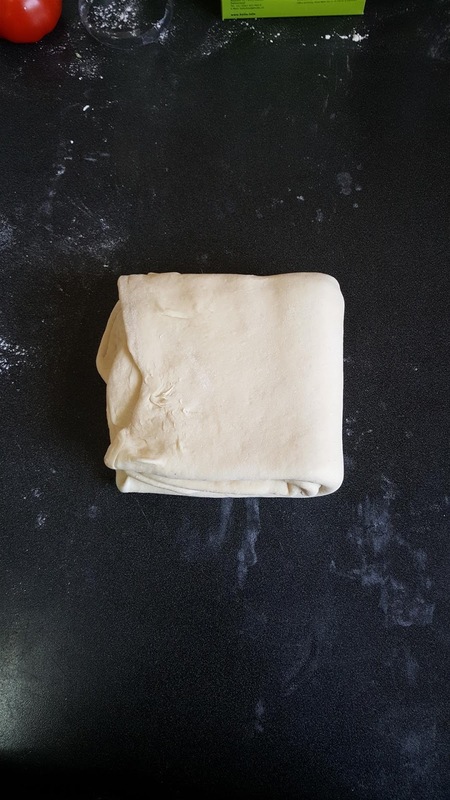 Stretch the long side of the dough as pictured and roll into a crescent shape. 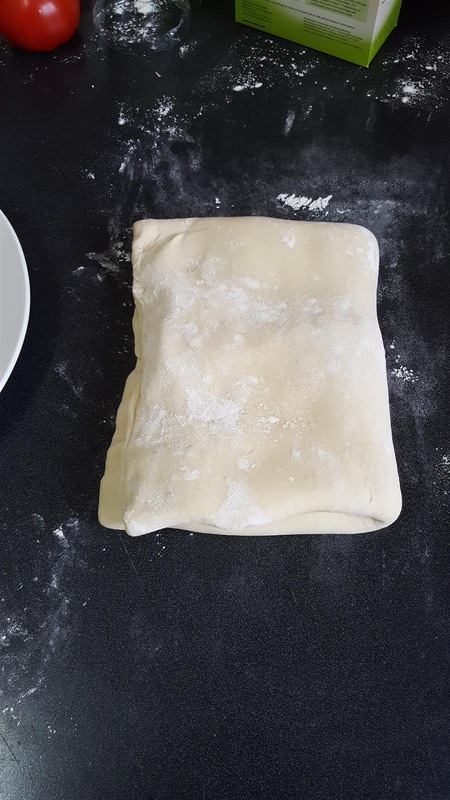 Place your croissants on a tray and let them proof for up to three hours on the kitchen bench. Alternatively (as I did) you can place them in the fridge overnight (cover your tray with plastic wrap). When it comes to baking, leave them on your kitchen bench for up to one hour so they can come to room temperature. Bake for 20-25 minutes until they've reached a nice golden colour. Place on a cooling rack for 10-15 minutes. They can be eaten warm or cold. I prefer them cold. A-ma-zing.... so going to try this, just need to find out where to get the psyllium husk powder. Great job! Thanks. Where are you located? In Australia I found it in the supermarket, at Woolies. You can also find it at health food stores. In the USA iherb stocks it. Isn't Metamucil made out of psylilum husk? It sure is. However it has other stuff in it too, doesn't it? I haven't bought that stuff in about 30 years, but I remember it having an orange flavour to it. I'd like to make these gluten free what type of flour do you think would be best. DeborahM I don't have much experience with gluten free baking. 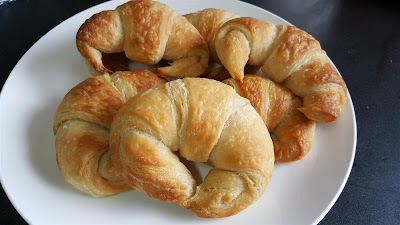 In fact, these are the first of these type of croissants that I've ever made. I found a non vegan recipe, that I would like to try to veganise, but I am unsure about the flours used, as we do not have them in Australia.